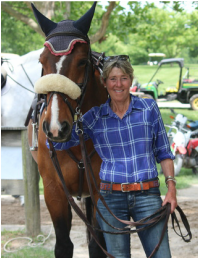 At River Mountain Farm, we offer a wide variety of services that enable us to create a personalized program made custom for you and your horse. If you have any questions about the below services or rates, don't hesitate to give us a call. click below to download our Rate Sheet. Updated Jan. 2016. We offer Full Care Board which includes turnout, stall cleaning, feeding, watering, blanketing. Training Board includes professional training rides 6 times per week. 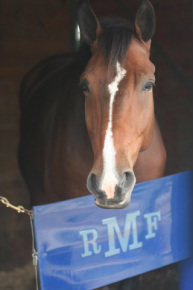 RMF riders travel to both local and “AA” rated shows . Our show schedule accommodates riders of all levels. We offer horses for lease at local shows if you are unable to own one. We have a showing program for the beginner rider to the serious competitor trying to qualify for indoors. Click HERE to view our Calendar of Shows and Events. Click HERE to learn our Show Expectations and Policies. We specialize in matching the horse and rider for success! We have quality sale horses and ponies in various price ranges. 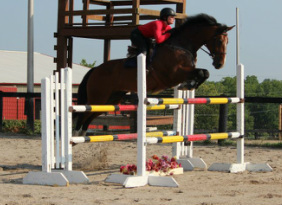 We import European Warmbloods, as well as raise our own Warmbloods. See our Sale Page for horses and ponies currently available. We offer full care training board for young horses that either need to be educated from the beginning or re-educated from a previous career. Click HERE to view our boarding rates. The RMF staff offers lessons to students of all levels from beginner to advanced in private, semi-private or small groups according to their ability. We have great "schoolmasters" for those students who do not own their own, and welcome students who wish to ship in for training. Click HERE for more information and Lesson Rates. MEDICAL SERVICES: We are fully equipped to handle most medical situations, injuries, and health problems on site. In the event of a situation we will keep you appraised and are happy to handle the care for you. We also provide necessary transportation to one of three veterinary hospitals located in a 15 mile area should the need arise. CLIPPING/TRIMMING: We are fully equipped for body clipping, mane pulling and other beauty treatments. OTHER SERVICES: Other valuable services we can arrange are shoeing/corrective shoeing, chiropractic and acupuncture services, dental services, and a meticulous vaccination and deworming program.